Thank you your interest, this promotion has expired. 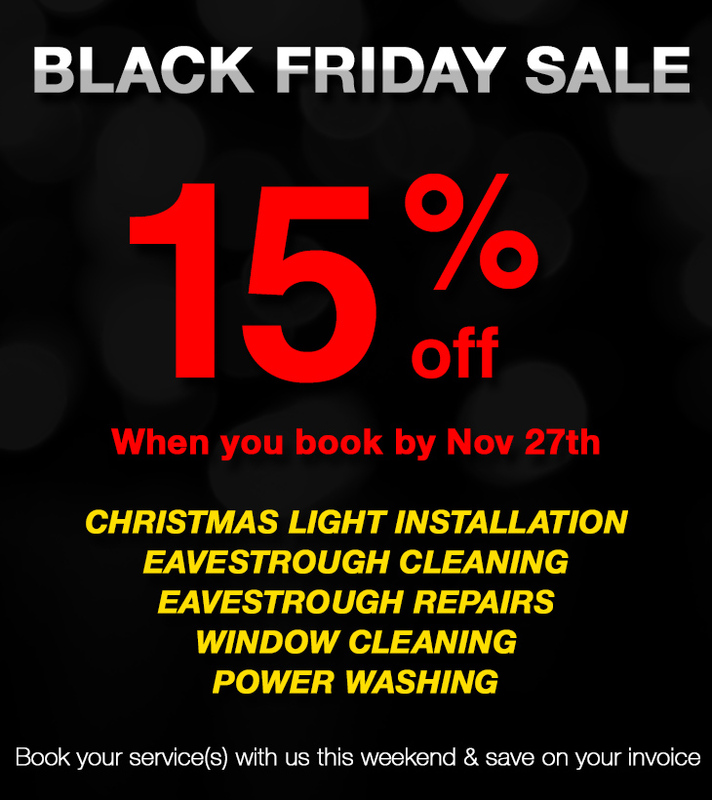 Book with your service with us this weekend, for any service date before Jan 1st 2018, and 15% on your service charge. One or more services it doesn’t matter! You save on your invoice! It’s simple – fill out the form on this page with your details and we will contact you soon to discuss your job details and service date. This promotion is subject to limited availability, contact us today! Save 15% off your invoice (before taxes) when you book your service with us. Last day of this offer is Nov 27th. This offer expires Nov 28th. This offer is subject to availability. Time slots are only given for interior window cleaning services (other service(s) are scheduled according to date but with no specific time, work to take place within our business hours of the corresponding day). Additional labour is calculated at $149 hour / 1 man crew.